The Montreal Impact have announced that forward Jimmy Briand will arrive this week to complete his signing from Guingamp. Guingamp also confirmed the transfer earlier on Sunday. Briand, 32, can play on the left wing or as a striker, which will allow head coach Remi Garde to deploy the Frenchman in various roles. Briand and Garde worked together at Lyon from 2011 to 2014, where the forward scored 22 goals in 110 league appearances. 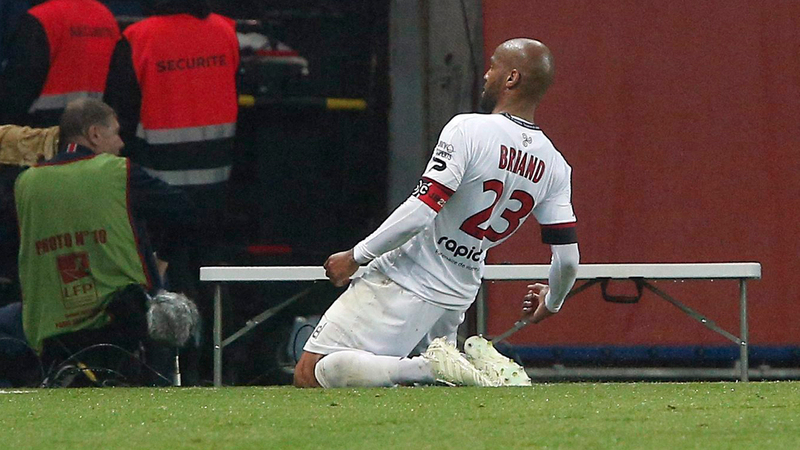 Most recently, Briand captained Guingamp while scoring 32 times in 118 games across all competitions. He started his professional career at Rennes, contributing 33 goals in 169 matches. The Impact had freed up a spot after trading Raheem Edwards to the Chicago Fire in exchange for targeted allocation money earlier this week. Those funds likely allowed Montreal to complete the deal. With Anthony Jackson-Hamel and Matteo Mancosu combining for just four goals this season, Briand might end up claiming the No. 9 role as soon as he gains match fitness. Montreal is currently in fifth place in the Eastern Conference on 28 points. However, only D.C. United and the Columbus Crew have scored fewer goals than the Impact’s 28 among all teams in the East.